Popular all over Nepal as Ghar Beti Baa because of his lead role in the famous television series of the same name, Raju Yakacha is also a popular name behind the make-up scene in most of the television programs. 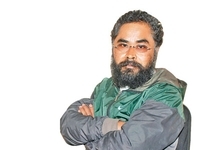 Although a man with the aim of becoming an actor had entered into Kathmandu longtime ago, he did not become an actor, however, acted on some plays with Anup Baral while he was in Pokhara and played on a show called Ghar Beti Baa. Yakacha started his career as a make-up artist by helping his colleagues to get ready for their characterization and he did not have formal learning on make-up artistry but learned it through observation. When he is not working, he likes to spend his free time with his family and he always makes a plan to spend holidays with his wife and daughters when he is free. Besides that, he also enjoys reading books, mostly spiritual rather than others, and watching movies. An avid fan of Indian actress Vidya Balan, he tries to make sure he does not miss any of her movies. He also likes the songs by Satya Raj Acharya, Swoop Raj Acharya, Karna Das and Sabin Rai. He has also acted in a number of music videos and has worked as a program host for a lok geet (folksong) countdown on Kantipur Television. For one who likes to travel to new place, Yakacha has also visited places like Karnali, Dolpa, etc. 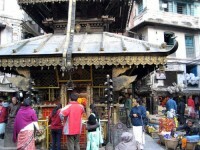 Nevertheless, his birthplace Pokhara is always his favorite. He also likes cycling, cooking and eating and can prepare a tasty kheer. He works with the famous Nepali beautician Sneh Rana and always tries to keep him up to date with the latest fashion and style. He prefers dresses that are made in Nepal and are found easily in Thamel. One who is involved in making others look good by enhancing and highlighting their beauty, Raju Yakacha is a famous name in the field of Nepali make-up industry.